The use of smartphones and other mobile devices is on the rise, and more and more nonprofits are finding creative ways to tap into their popularity to deliver services and engage constituents. It’s a mobile world out there. In a 2012 study, Pew Research found that 88 percent of all American adults had a cell phone—and 46 percent of those were smartphones (http://pewresearch.org/pubs/2206/smartphones-cell-phones-blackberry-android-iphone). People are using phones not just to make calls, but to send and receive text messages, check email, surf the web, take pictures, play games and more. This increasing use of mobile phones holds some important implications for nonprofits. At a basic level, organizations can’t assume everyone will be looking at their information on a large computer screen—if you’re providing online information or emails, it’s important to consider how it will look on the tiny screen of a smartphone. But this mobile phone ubiquity provides some interesting opportunities to nonprofits as well. People across a wide range of demographics are using phones, and in fact, many low-income audiences are more likely to have easy access to a mobile phone with at least a text messaging plan than they are to have reliable access to the internet via a computer. This poses lots of opportunities for organizations to deliver services using mobile devices, both directly and indirectly. Some aspects of the way these devices are used make them great for reaching tech-savvy or young constituents, while others provide ways to reach out to potentially underserved populations. 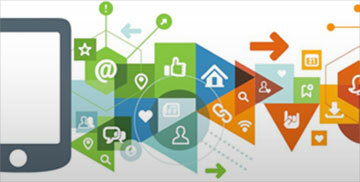 Still others can help organizations save time and money in communications and data access. One of the most direct and simple services that can be provided through mobile devices is education, or distributing information to your constituents. There are a few ways to do this—mobile websites, applications and even QR codes—and different methods make sense for different audiences. If your website is a primary outlet for disseminating information about your organization’s issue or cause, consider making it easily accessible to the segment of your audience using the small screen of a smartphone. While any website can be viewed on a smartphone, some are considerably more usable than others. To make it easier to navigate your existing website on these smaller screens, think about what a mobile user might be looking for, and try to locate these key actions near the top left of the page—which is the default view of many smartphones—or visible even in a tiny full-screen view of your site. If you expect that your information might be in particular demand by people on-the-go, it might be worth looking into more robust ways to support mobile web browsers. Nonprofits are increasingly using a website-scripting technique called “adaptive design” to automatically display your website in different templates appropriate for different devices. For instance, with an adaptive design, a user on a desktop computer might see your site with a broad, three-column layout, while one on a smartphone might see a subset of that same content reordered to create an easily usable design that’s only a single column. If you’re currently using a robust content management system like WordPress, Joomla, Drupal or Sitecore, it’s likely that you could add an adaptive design to an existing site. If not, however, you may need to rebuild your site to accommodate a new template—not a small task. You could also think about designing a new mobile version of your website that provides quick, high-level information and presents key actions in a format optimized for smartphones and other small screens. For instance, Soles4Souls, a charity that distributes shoes to children in developing nations, has done a good job of building a mobile website that incorporates the same theme as its normal website and makes key actions, like donating or signing up for the email list, easily accessible. Another way to provide information to mobile users is through the use of mobile applications, or apps. An app is accessible even when you’re not connected to the internet, which is an advantage for quick reference information, but users need to download the app first. This means there’s an extra step for your constituents—they need to find and install your app before they can use it. An app is also likely to be considerably more expensive to create than a mobile website. They require more expertise to build, and are specific to the phone platform, so an app built for an iPhone can’t be used on an Android device, for example. In practice, an app makes more sense than a website only when it’s important that it’s viewable offline, or when you expect constituents to actively want the functionality the app can provide. A good example of a mobile app is the Monterey Bay Aquarium’s Seafood Watch, which provides an alternative to its popular paper “pocket guide” to the types of fish that are caught or raised sustainably. The quick reference allows diners to check the sustainability of particular types of fish even offline at restaurants or the fish market. In another example, the wildlife rescue organization Animal Watch created an app to help users call the appropriate people if they find an injured animal, even when they’re offline. Mobile apps can do more than just provide information. They can also provide experiences, or games. Mobile games tend to target the younger demographics of children and teenagers, who can learn about issue while also having fun. For example, Food Force, a mobile game developed by the United Nations World Food Programme and the game studio Konami, teaches players about food supplies, scarcity and humanitarian aid. It’s designed to help introduce a younger audience to the issue. The game Phone Story, by Molleindustria, shows players the environmental and humanitarian costs of smartphones and other consumer electronics, from coltan extraction in the Congo and working conditions in assembly plants like Foxconn to the growing problems of e-waste and proper disposal. Some larger organizations have successfully developed complex apps, but it can be both expensive and time-consuming to do so on your own—chances are you’ll need to hire someone to create it for you. In addition, because apps are platform-dependent you would either need to create your mobile game for a single platform—and don’t assume without research that your whole audience is using iPhones—or otherwise develop completely separate versions for iOS, Android and Blackberry. Another hands-on way to educate your constituents is through QR codes, which can be read using any of hundreds of free apps that allow anyone with a smartphone to scan them. Museums in particular can use QR codes to provide additional online information about exhibits. For example, the Indianapolis Children’s Museum created detailed articles on Wikipedia to explain more about their exhibits and placed QR codes throughout the museum to direct patrons to the articles. This way they were able to provide more material than could fit easily on exhibit placards. With a little creativity, there are other ways to use QR codes as well: for example, teachers could find value in using QR codes as an educational scavenger hunt for students. Mobile devices have turned GPS functionality from an expensive luxury limited to the military and hobbyists into a feature many people have in the palm of their hand. The built-in GPS on smartphones has interesting applications for program delivery. For instance, the Winona County Historical Society in Minnesota has created a walking tour that provides information about historical landmarks based on the user’s physical location. A location-based app like foursquare could also potentially be used to provide a tip or piece of information specifically to people visiting a particular location. Mobile texting holds a huge amount of promise as a simple—or a more-sophisticated—communications channel, depending on your needs. A number of demographics, including college age students and low income adults without stable housing, are more likely to communicate via text messages than they are using emails, telephone calls or direct mail. If you have cell phone numbers for constituents, you can easily send them text messages—you don’t even need to have a cell phone, as services like Google Voice allow you send messages to one or more cellphones using a computer. Sending quick reminder texts about appointments or using text messages to make quick arrangements can be highly effective. For example, the HOWA Family Center in Minnesota, which pairs teenage mentors with elementary school-age mentees, found that text messages are a more reliable and timely means of communication than email. They’ve seen much better responses from their mentors since adopting text messages as their primary means of communication. One-on-one texting can also be used to replace more traditional conversations. For example, Crisis Connection’s TXT4LIFE service is a suicide prevention text message hotline for their teenage constituents. The organization has had great results, receiving 30-times more text messages than phone calls and allowing them to reach a greater number of teens in trouble. If you collect a whole list of mobile phone numbers, you can send text messages to your constituents like you would a broadcast email. Software tools like Mozes, MobileCause, Mobile Commons and Mobile Accord let you store phone numbers and send messages to the entire list. This can be useful in reaching out to a large and specific population, like reminding voters to go to the polls on Election Day, or sending out quick tips for people living with diabetes. Text messages can also be used for automatic two-way communication using a “branching” set of responses. For example, a supporter who texts “HELP” to a particular number could get information back asking if they’re able to help volunteer at an upcoming event. If they answer “YES,” they get information about the event in response; if they answer “NO,” they might be offered another possible opportunity. 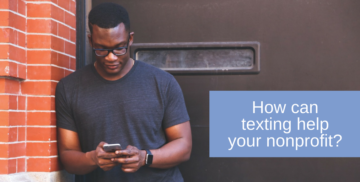 If you have more to invest in text-based solutions, there are very interesting programmatic possibilities involving integrating text messages with a database. For instance, when someone texts, a system could automatically pull responses or information from a database. The Blue Ocean Institute provides functionality along lines similar to the Monterey Bay Aquarium’s Seafood Watch app—if someone texts the name of a fish to the service, it replies automatically with any environmental concerns about the sustainability of that kind of fish. You could also pull texts you’ve received into a database, opening up interesting possibilities for surveying or collecting information from a mobile audience. The Central Maryland Transportation Alliance put together a service to let high school students and commuters rate the quality of the city bus services by texting in their thoughts. All the responses are analyzed to find opportunities to improve the services. In another example, the tool Ushahadi helps you to display texts asking for help mapping things—in one instance, it was used in Haiti to plot areas of greatest need, and then to be able to locate people close to rescue providers who could be helped quickly. While mobile technology can certainly be used to provide services directly, you can also use it to support your existing services. If your organization has field workers, or other staff that’s frequently away from the office, a smartphone or tablet can not only help them stay in touch, but also reduce their need to return to the office frequently. Online databases allow staff to look up client information from their mobile device, and even update records, fill out paperwork or file notes electronically. Headway Emotional Services in Minnesota has seen great success in this area. Most of their field staff are counselors who travel to multiple local high schools. They now use a database that allows them to access client records, case notes and other important information on their mobile devices. While not directly affecting individual service delivery, this use of mobile technology saves the Headway counselors’ time, enabling them to provide services to more clients. This technology also allows field staff to collect data directly from constituents, especially for quick information that people can easily enter. Some constituents may be even more willing to provide their information because they want to play with the device. For instance, this might be a useful way to collect email addresses or cell phone numbers of patrons at a theater, or to survey visitors at a health center. If your staff is already in the field with a mobile device, you may also be able to use tablets to provide services directly. Is there a way you can let constituents use a tablet or mobile device to learn, interact or otherwise further your mission? 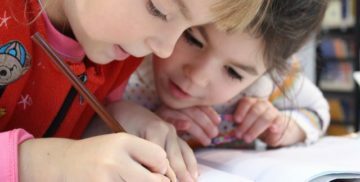 For example, the Reach School, a pre-school for kids on the autism spectrum, bought iPads, durable cases and special education apps for each of its seven classrooms. The teachers use the tablets to show videos, provide individual kids with learning games, and sometimes just for fun as a special treat. Cell phones and mobile devices provide increasingly powerful options for directly providing program services. While some applications of this technology, like creating mobile apps or pulling mobile texts into or out of databases, may require significant investment to create, a number of possibilities are within reach of any nonprofit. For example, creating a smartphone-friendly web form can be an easy way to let constituents or staff fill out information from anywhere they want. Texting is a free and easy way to communicate with people who can otherwise be very difficult to reach. As these devices become increasingly ubiquitous, they become more and more useful to nonprofits. Don’t think of them as one more piece of technology that you need to fit into a technology plan, but rather as a communications method that can increase your options for communicating with the people you serve.